Clint Adams is in St. Louis to relax and play poker when an old friend calls on him for help. Secret Service Agent Jeremy Pike is in town under an assumed name, investigating a counterfeiting operation--and he knows he's close when he's ambushed and almost killed. Now he needs a man he can trust to pick up where he left off. 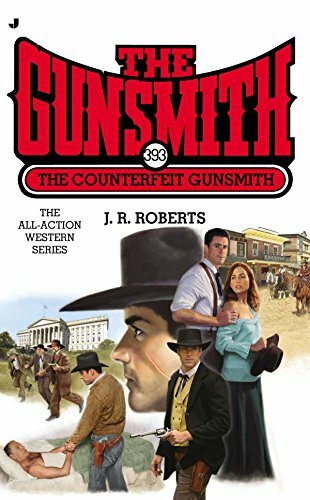 A man like the Gunsmith. Since anyone could be in on the scheme, Clint will have to play his cards close to the chest--even with the beautiful young woman claiming to be Pike's contact--because this time he's gambling with his life.